•	Veteran journalist Dinu Randive has been conferred with the lifetime achievement award by the Mantralaya and Vidhimandal Vartahar Sangh, an association of journalists covering Maharashtra legislature and secretariat. •	Mr Randive started his journalistic career in 1956. 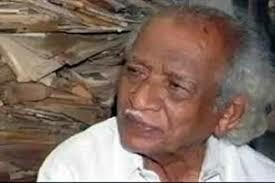 He also participated in the freedom struggle, the Sanyukta Maharashtra movement and the Goa liberation movement. •	Award winners in other categories included Vishwas Waghmode, Mahesh Tiwari and Prajakta Pol. •	The Andhra Pradesh government has bagged the Central Board of Irrigation and Power (CBIP) award for speedy execution of Polavaram multipurpose project on the Godavari river. •	Andhra Pradesh received the award in the category of “Best Implementation of Water Resources Project” for better planning, implementation and monitoring. •	Polavaram Project is a multi-purpose irrigation project. The dam across the Godavari River is under construction located in West Godavari District and East Godavari District in Andhra Pradesh state and its reservoir spreads in parts of Chhattisgarh and Orissa States also. •	The Central Board of Irrigation and Power (CBIP), is a Premier Institution set up by the Government of India in the 1927.